Like me, do you hold onto the past a little too tightly? Even if a favorite author, or singer or perfume company has devolved into mediocrity and endless repetition, do you still give them a chance every time a new book or CD or fragrance is released? I’ve given Comptoir Sud Pacifique second, third, fourth…fifth chances over the last, what, ten years? When I started discovering perfumes as a teenager, Comptoir Sud Pacifique provided many of my best fragrance experiences, but the glory days of Comptoir Sud Pacifique are gone. Like many other once-innovative companies (Diptyque, Comme des Garçons, Eau d’Italie, Serge Lutens) Comptoir Sud Pacifique now wants mainstream cred and has dumbed down its scents to achieve it but unlike those other companies, Comptoir Sud Pacifique has started to smell (might as well say it) cheap. Souffle des Indes opens smelling like any number of mainstream designer fragrances for women; it’s an opaque, “thick” (this breath is heavy, not light), vanillic concoction with suffocated-by-vanilla flowers (wan ‘jasmine’) and spice (diluted cardamom). Souffle des Indes is so well blended I felt only a few fragrance notes were used in its creation…and they all smell artificial. Within minutes of application, the strong scent of benzoin becomes apparent. As Souffle des Indes develops further, I detect the sickeningly sweet scent of white musk. Souffle des Indes is “unisex” — in a sense. The opening smells like a women’s (semi)oriental — accent on vanilla-musk, and then the perfume transforms into a sweet, men’s department store fragrance in the style of Givenchy Pi, Paco Rabanne 1 Million and Van Cleef & Arpels Midnight in Paris. Souffle des Indes presents two perfumes in one bottle: one feminine, one masculine, both vanillic, both boring. I used to wait anxiously for each Comptoir Sud Pacifique release; some of the best fragrances from the line were Piroguier, Vétyver Haiti, Kumquat Alhambra, Thé, Opoponax (which I still use to “remind” my nose of the scent of opoponax) and L’Eau du Gouverneur. All those distinctive perfumes have been deleted from the CSP line-up and replaced by overpowering and obnoxious fruity vanilla bombs and non-entities like Souffle des Indes. Are these new-type Comptoir Sud Pacifique perfumes selling? To whom? Comptoir Sud Pacifique’s pricing has not decreased even if the quality of the perfumes has (the bottles used to be more interesting too). I never hear anyone talk with excitement about the company here in the U.S.; and after the release of the dull oud line and now Souffle des Indes I won’t be going to the trouble of finding new Comptoir Sud Pacifique fragrances to sample. I've reached the end of the line. 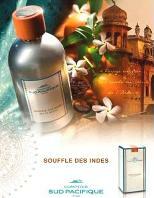 Comptoir Sud Pacifique Souffle des Indes is available in 100 ml Eau de Parfum for €69. *Souffle des Indes listed notes are tangerine, bergamot, kumquat zest, jasmine, cardamom, cassis, vanilla, musk, teak wood, benzoin and ambergris. I do really like Midnight in Paris on my teenage son. Mals, it is gone…enjoy it while it lasts! I never found anything i really loved from this line. Those oud scents were pretty bad as i recall. I happened on me. Before I fell for perfumes. I drifted through some department store grabbing random bottles and sniffing. Piroguier literally made me jump to the side and stop dead, all that tar, wood and heat. So unexpectedly, magnificently non-you-smell-nice. So Ultra Masculine. Lover in a bottle. Oh, I should have bought a bottle then. Still on the lookout for it. Whatever I smelled of the line 15 years later was disappointing. Target group 14-16 years, French lycée girlie? There is a review on Fragrantica that describes Naomi Goodsir Parfums Bois d’Ascese to a “double dose of Piroguier.” Hmmm. I’m weary of new niche lines, but maybe I need to try this Aussie effort – certainly wouldn’t expect it to be dull. Noz: thanks for telling me that! 1 cm vanilla pod, chopped. Then you make a syrup with 400 g sugar and 35 g water, let it cool, mix everything, let it sit for another ten days, shaking the pot once a day, sift and bottle. The easyest thing in the world, and it turns out pretty good. (My mom lives by the coffee producing hills, so I got really good, fresh coffee for this. It is pretty easy to find decent arabica coffee in Europe and the US, just make sure it is fresh, and if you can get it freshly milled, it’s still better.) Have fun! Solanace, thank so much for this recipe! I have fond memories of Italian lemoncello and also cafe corretto (espresso with a shot of grappa), and this sounds great! I bought a bottle of the reissued Vanille Ambre a year or so ago: it’s not a great scent but it’s fun. Their glory days are long behind them, and CSP hasn’t released anything really noteworthy since Bois de Filao nearly a decade ago (although I do own Vanille Pineapple and Vanille Peach, also terrific fun). Everything in the last six years or so has been rubbish. R: it’s too bad but I guess at this point there’s no hoping for better days ahead. Alas, your description of giving way too many chances to something that’s become mediocre hit home in a musical sense. Sounds like CSP is to you what Tori Amos is to me (except she went the opposite direction — adult contemporary rather than teens)! I’ve never tried a good CSP scent; probably came to the line too late to find anything interesting. 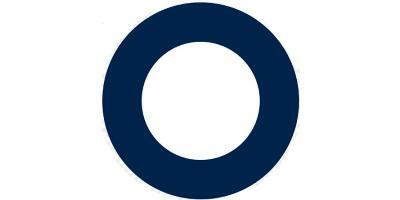 Ockeghem: I can certainly find examples of disillusionment in music too. HA! You have to go WAY back for the great CSPs. Sounds awful. Must say I love reading your reviews of bad perfumes Kevin, it is so much fun! Solanace, ha! Thanks. I do hope to have at least one positive review by January! Wow, have been thinking those same thoughts. Only not as poetic. I agree they smell cheap now. I keep thinking , oh maybe it isn’t a fresh batch. Bought several abricot, fig , and cocoa….again. Nothing from the line smells great to me anymore . Will have search for something else. Will keep in touch with this fabulousness of a web site!